To make the world a healthy and happy place. To reach to people and promote Alkaline lifestyle. Why are we facing the worst health crisis? The body pH is in fact most important factor in controlling and affecting various body functions. Unfortunately todays fast paced lifestyle and increasing consumption of acidifying food items are making problem very serious all over the globe. It will not be wrong to say that single most important cause of death is over-acidification of the body. How we can tackle it? 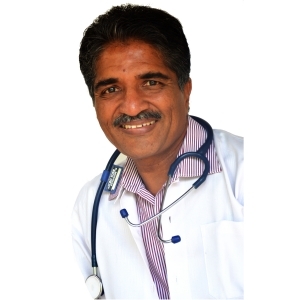 Dr. Pravin was a practicing surgeon for more than 25 years. In spite of his busy practice, he was more interested in nature and its creations. His personality does not allow him to become sound spectator for the downward spiraling human health and dwindling nature. We all are facing multiple health problems which can be attributed to the wrong lifestyle adopted by the current society. In quest of finding the root cause of the issue, he left his surgical practice and started research on the related issues. Research is apt term in his case, as he was more keen in finding out what was there in our ancestors lifestyle (diet & water) which was keeping them away from these metabolic diseases. With his serious perusal of the issue, he has come to the conclusion that there are some serious deviations in our water & food consumption pattern which are responsible for the current health scenario. 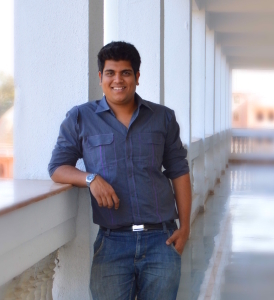 Gaurav has studied product designing. His experiment with different tools and updated technology knowledge is helping Alkwa to design its product to suit different demands from consumer. He looks after Product Development and Finance Alkwa. After years of research and work in this field, he has focused more on the convenience for the clients and providing the best customer service. I had severe Migraine problems from last 4 years, but after started using Alkwa in 3-4 months i got freedom from my Migraine. I feel fresh, hydrated and rejuvinated. Thank you Alkwa. I am using Alkwa since December 2011. What I can say is just – Fantastic. Acidity has vanished from my life. I feel fresh and can have more water than I used to normally have. Now I also prefer alkaline diet. Thanks Alkwa. Housewife.